When Should a Boss Go to an Employee's Wife's Funeral? A representative from the company should attend the funeral. Determining whether to attend an employee's wife's funeral isn't always an easy decision, especially if you don't have a close relationship with the employee to start with. It's important for someone in management to attend, so the employee feels company support. Showing support rarely backfires, unless you've had a horribly contentious relationship. Your attendance at the funeral demonstrates your compassion for the grieving employee and his family. A boss should attend the funeral if she's the one representing the company. According to the labor law website "Human Resource Blog," an employee's immediate supervisor usually attends an employee's wife's funeral. If the employee directly reports to you, you should attend the funeral. If another supervisor is attending the funeral, serving as an official representative of the company, you can skip the funeral and send flowers or a card instead. If no one from the company can attend, you should go so the employee feels some sense of support from his workplace. If you have a personal relationship with the employee or the employee's wife outside of the workplace environment, you should attend the funeral. 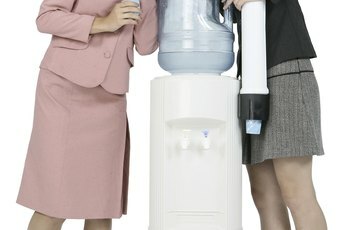 Your personal connection to the family supersedes your workplace relationship, so you should go not only as a representative of the company, but as a friend. 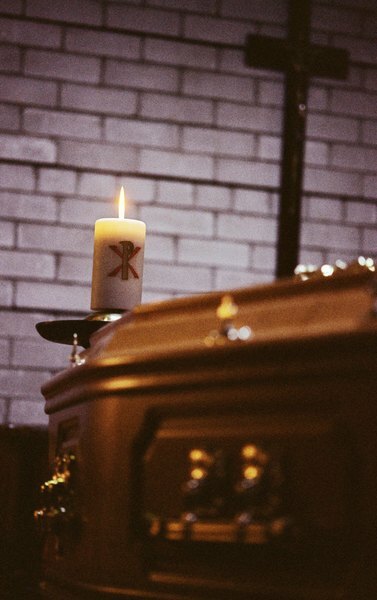 Even if you don't make it a practice to go to all funerals associated with your workplace, you should definitely attend those to whom you have a personal connection. Your goal is to show impartiality toward your workers, but your personal life extends beyond the boundaries of the workplace, so attending the funeral of a friend is justifiable. Go to the funeral if you really want to attend. Since there's no steadfast guideline that governs etiquette for funeral attendance, don't hesitate to go if you feel like you should. If you think you'll regret not going or feel like you'll owe your employee an apology for missing the funeral, go. Attending the funeral shows an employee your support, and it also provides a sense of closure. It might make it easier to relate to the employee and carry on future conversations if you were present at the funeral, witnessing and experiencing the grief firsthand. Plus, it gives you a chance to express your condolences in an environment that's conducive to expressing emotion. It might be difficult to express those sentiments in a normal, everyday workplace environment. If you can't attend the funeral due to work responsibilities, scheduling conflicts or other personal obligations, send flowers to the funeral home. Flowers are put on display during visitation hours, funerals and graveside ceremonies, so your floral gift won't go unnoticed. Funeral homes leave condolence cards on flower arrangements, so the grieving family can see who's sending their love and support. 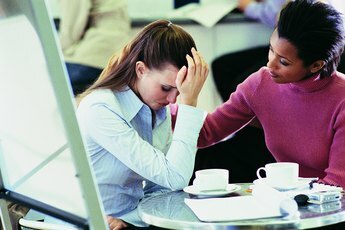 The article "Helping Colleagues Cope with Grief," posted on the University of California website, encourages co-workers and supervisors to attend funerals, provide food, send flowers or cards, help with travel arrangements, reduce work loads, provide a listening ear, collect cash, visit the employee's home and provide time off. 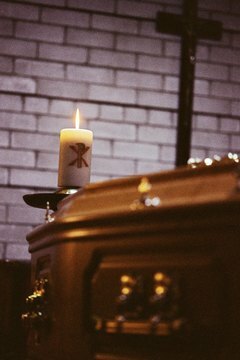 Human Resource Blog: When to Attend a Funeral?